Bryan Loren, whose eponymous debut album Bryan Loren was rereleased on 26 March 2012 on BBR Records, is much more than a singer, he’s also a talented multi-instrumentalist, arranger, producer and songwriter. Some people would call Bryan a prodigy, learning and mastering various instruments, and then writing songs while still in his early teens. While still in high school, Bryan started working part-time in Philadelphia’s Alpha International Studios. Then by 1982, Bryan’s talent and music came to the attention of Fat Larry’s Band, with Bryan joining as keyboard and synth player, playing on their 1982 album Breakin’ Out and 1983s Straight From the Heart. As if this wasn’t enough, he played keyboards and sang backing vocals on Cashmere’s debut album, Let the Music Turn You On, released on Philly World Records. The single that preceded the album’s release was Do It Anyway You Wanna, which Bryan cowrote. This gave Philly World their first top forty single, and lead to the recording of Let the Music Turn You On. Soon, Philly World owner Pete Pelullo’s became interested in signing Bryan as a solo artist, who back then, was still referred to as Bryan Hudson. Then, when he signed his recording contract, Bryan Loren was born, and so was a successful musical career. Now that Bryan had been signed to Philly World, he set about recording his debut album. Not only was Bryan write the eight tracks on the album, but he produced the album as well. Mind you, he’d learnt from two talented producers, Bobby Eli and Nick Martinelli. The only track where Bryan isn’t credited as sole producer, is Lolilpop Luv, the debut single from the album. Nick Martinelli received a credit, although Bryan believes the only reason for this was to help gain radio play. Bryan states Nick Martinelli was never present for any of the recording studios. Recording started late in 1983, at Philadelphia’s Alpha International Studios. Bryan given was complete artistic freedom, allowed to record the album as he saw fit. However, Philly World were desperate to let the public hear their new signing’s debut album. He had to have the album finished by February 1984, to coincide with Black History Month. In 2007, Bryan said he felt wasn’t given enough time to finish the album as he would’ve liked. Three tracks however, Bryan believes weren’t completed to his satisfaction. Somehow, though, Bryan made the deadline, with the eight songs that make up Bryan Loren recorded. How would the album fare on its release? 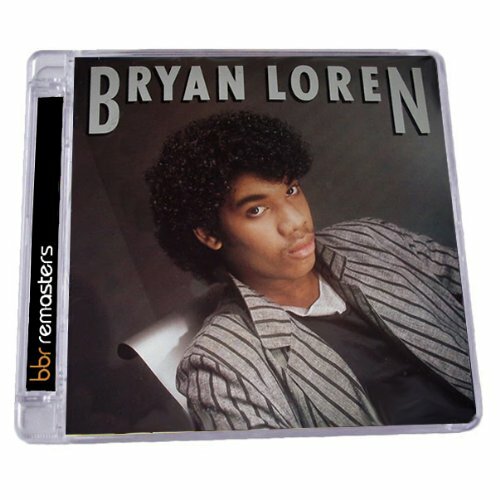 Before the release of Bryan’s debut album Bryan Loren, two singles were released. The first was Lollipop Luv,’ released in February 1984. It reached number twenty-three in the US R&B Charts, number 105 in the US Billboard 100 and number ninety-seven in the UK. Do You Really Love Me was the second single, released in June 1984 reaching number sixty-eight in the US R&B Charts. Then when the album Bryan Loren was released in July 1984, it reached number forty-four in the US Cashbox Charts. The third and final single released was Easier Said Than Done, released in September 1984, which failed to chart. However, given that two singles had charted, as had the album Bryan Loren, Philly World must have been pleased with the album’s success, and so would Bryan. His mixture of soul and funk on Bryan Loren, which I’ll now tell you about, was the first step in his long and successful career. Opening Bryan Loren, is Lollipop Luv,’ the debut single released from the album. It’s a truly infectious track, one that highlights not just Bryan’s talent as a singer and songwriter, but as a producer. When the track opens, immediately, you’re aware of a Prince influence to the track. A combination of rhythm section, keyboards and synths give way to Bryan’s vocal, with has an understated, but emotive sound. Then when the track starts to reveal its charms, you’re not just hooked by the groove, but swept away by its infectiousness. Similarly, the melody is irresistible, while the arrangement has aged well. Unlike many tracks of this era, the combination of synths, keyboards and drums doesn’t sound dated. However, given such an infectious and irresistible sound, surely it deserved to far better when released as a single? Easier Said Than Done was the third single released from Bryan Loren, but was the only single that never charted. This was one of three tracks that Bryan described as “incomplete.” Listening to the track, and its fusion of soul and funk, I feel Bryan is being hard on himself. His sad, soulful vocal combines well with a quick, funky arrangement. It’s crisp drums, stabs of dramatic synths and a slap bass that combine, before Bryan’s vocal enters. Bryan’s vocal is a mixture of sadness, sincerity and passion, while his vocal multi-tracked so he also sings the backing vocals that accompany him. Together, the slap bass and keyboards combine during a break, before the vocal reenters, as the track fuses soul and funk perfectly. Listening to the track, not only it has some of the best lyrics on the album, but it features a heartfelt vocal and a suitably, sympathetic vocal. For Tonight sees the tempo drops slightly to 116 beats per minute, with Bryan changing style as the song opens. He’s transformed into a heartfelt, balladeer against a backdrop of stabs of synths and the rhythm section. Meanwhile his multi-tracked vocals accompany him on this fusion of eighties R&B and dance music. By now, there’s even a slight Jackson 5 sound to the track, before it’s all change. Then, a prominent bass punctuates the arrangement, while Bryan’s vocal is still heartfelt and beautiful. Later, a piano drifts effectively in and out of the track, as the rhythm section and keyboards add a touch of funk to the track. This is just the finishing touch to a track that’s a fusion of musical genres, mixing eighties R&B and dance music seamlessly. Complications opens with pounding drums, synths and percussion as the tempo increases. The track has a Michael Jackson style and sound, and if you listen to albums like Off the Wall, and then this album, then the similarities will become apparent. Even Bryan’s vocal sounds similar, with the track littered with lovely, winsome melodies. Later in his career, Bryan would work with Michael Jackson. Obviously, this track has a heavier synth sound, with its has an eighties new wave style. However, the track is catchy, it draws you in, and before you know it, you’re truly hooked. Key to the track is the combination keyboards, dance-floor friendly drumbeats and tempo, not forgetting Bryan’s vocal. Together, they’re combined by Brian into one of the catchiest, hook-laden tracks on the album, one that was perfect for any eighties dance-floor. The second single from Bryan Loren was Do You Really Love Me, a mid-tempo track. It was originally the opening track on the album’s second side, which is slower than the first side. The track has an enchanting, feel-good sound, where ever-present synths are key to the arrangement’s sound. When they’re combined with the crispy drums, they prove a potent and successful combination. Bryan’s vocal is emotive and impassioned, as the track flows along beautifully. However, later, Bryan delivers a curve-ball, in the shape of a wall of guitars, that compliments the rest of the arrangement and the song’s romantic lyrics. This results in one of the most beautiful and best songs on Bryan Loren. Falling In Love is another mid-tempo romantic track, one where jazz, soul and funk unite as one. While combination of rhythm section and keyboards give the track a slightly funky sound, flourishes of jazzy guitar enter, combining with Bryan’s needy, heartfelt vocal. Later, percussion and slap bass augment the arrangement, as crisp drums almost crack, and keyboards play an important part in the arrangement’s success. Like other tracks, Bryan’s vocal is multi-tracked, providing backing vocals. Here, they’re the perfect accompaniment for his vocal, their heartfelt sound just the finishing touch the track needs, in its journey through jazz, funk and soul. Stay With Me is by far, the slowest track on the album, at just 83 beats per minute. Even by the standards of the slower, second side this is much slower. It’s also one of the best tracks on the album, with Bryan’s vocal sad, and almost desperate. Again, backing vocals augment his vocal, as the arrangement combines jazz and soul. Subtle chord changes on the keyboards, a lissome, chiming guitar and drums are key to the arrangement. Bryan sings around the keyboards, filling the spaces they leave. The arrangement just meanders along, slowly revealing its sadness and beauty. Later, Bryan’s vocal is emotive and impassioned, resulting in one of his best vocals on the album. Closing Bryan Loren is Take All of Me, which Bryan demonstrates Bryan’s talent as an arranger and producer. The track opens with some clever chord changes on the keyboards, while the rhythm section and other keyboards accompany him, as the track unfolds. His delivery is considered, laden with feeling and emotion, while some gorgeous harmonies accompany him. Throughout the track, his chord changes are subtle and highly effective, as his addition of a stunning piano solo later in the track. By the end of the track, Bryan just seems to have brought everything together perfectly, with his arrangement almost seamless. Add to this a vocal that’s full of sincerity and feeling, and this is beautiful track to close the album. I’ve been looking forward to reviewing Bryan Loren’s eponymous debut album Bryan Loren for some time, and I certainly wasn’t disappointed. How could I be disappointed given the high standard of music on Bryan Loren? The first four tracks made up the first side of the original album, with the music quicker than on the other four tracks. Two of the highlights are the irresistibly, infectious Lollipop Luv’ and Complications, a hook-laden, dance-floor friendly track. On the other four tracks, Bryan drops the tempo, surpassing himself with a trio of tracks that include Do You Really Love Me, Stay With Me and Take All of Me. Like each of the eight tracks on the album, Bryan wrote, produced and played many of the instruments. This demonstrates not just his talent, but also his versatility, as he seamlessly fuses soul, funk and jazz music during the album, and sometime, during one song, such as Falling In Love. It’s just one of the many highlights of Bryan Loren, which has been remastered and rereleased by BBR Records on 26 March 2012. Not only does it include the original album, but also features seven bonus tracks. These include of various versions of the singles released from Bryan Loren. Add to this lengthy and informative sleeve-notes from Justin Kantor, and BBR Records’ rerelease of Bryan Loren is a welcome release from a multi-talented, multi-instrumentalist, singer, songwriter and producer. Standout Tracks: Lollipop Luv,’ Complications, Do You Really Love Me and Stay With Me. ← LATIN CONCRETE: A MODERN LATIN RHYTHM SUITE-MIXED AND COMPILED BY CHRIS READ.